It’s absolutely amazing how the same names keep resurfacing year after year when it comes to war and big oil companies. These people have no shame and have been using the military as a tool to steal natural resources from any country that they want to exploit. What do you think about holocaust denial laws? Most American civilians have obviously not had to endure the terrible atrocities of war. They have not had to run for cover because of bombs being dropped in their communities. America is not a place where we have had to deal with bombs being dropped on us by jets or missiles (excluding Pearl Harbor). When Americans think of bombs exploding in a war scenario, they envision those explosions being detonated in the Middle East or on some foreign territory. As each day passes, the leaders of various governments continue to make foolish decisions that are needlessly placing the lives of billions of people in harm’s way. Although any armed conflicts of war in our future will most likely begin with conventional weapons and troops being deployed, it’s also very likely that before these battles conclude, they will feature the launching of many nuclear warheads that will definitely destroy the lives and properties of millions of people around the entire planet. In a nuclear war no country will be able to claim victory. The direct damage to our planet, its food chain, and life in general will be unbelievable. And for those people that foolishly believe American soil will be off limits to these deadly attacks, like they have been in the past, they should definitely think again. It’s time that we all wake up and recognize that the leaders of various countries are completely out of touch with reality. 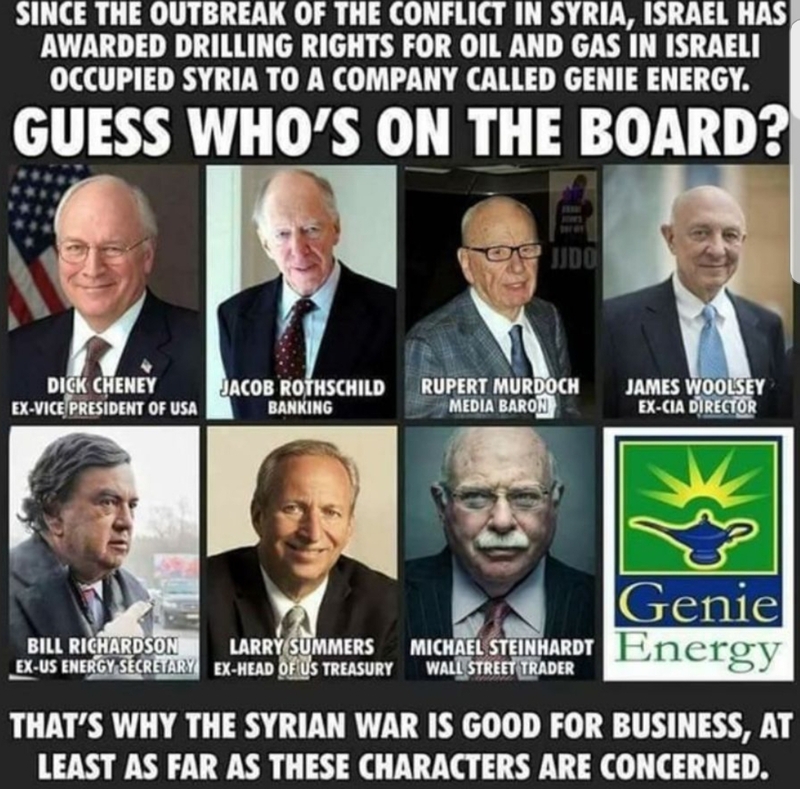 These people are warmongers, and the media whores that praise war and the military industrial complex are pushing a dangerous agenda that will end badly for all of us. The official transfer of presidential power from Barack Obama to Donald J. Trump will take place on Friday, January 20, 2017 in Washington, DC. According to various sources supposedly in the know, massive protests have been planned by well funded and very organized special interest groups. Their ultimate goal: cause public unrest, rioting, destruction of property, and many other forms of mayhem at the US presidential inauguration. The Illuminati masters that purportedly control the American government, its affiliated intelligence agencies, the mainstream media and a plethora of other governing bodies in countries and provinces worldwide are said to be panicking, by some sources, over the pending inauguration of Donald Trump. According to many alternative media outlets, this could be a very dangerous time for Mr. Trump and the American public. Despite what most Americans have been led to believe about US politics, Donald J. Trump seems completely different from any other president that has served before him. Mr. Trump appears, for all intents and purposes, not to be a Republican or a Democrat even though he was officially listed as such at different times during his life. The next President of the United States quite simply seems to be an extraordinary agent of change. He appears unafraid of the Establishment and what that group, perched atop the most secret hierarchy in the world, represents. In my considered opinion, Donald Trump was never supposed to be elected president in November, 2016. In each and every election that was conducted in America prior to the most recent one, two safe candidates have been routinely rolled out by the Establishment and Americans ceremoniously elected one of them. Regardless of whether the election’s outcome yielded a Democrat or Republican winner, Americans ultimately lost and the Establishment was always victorious. After the new Illuminati puppet was officially sworn in and the previous one was helicoptered away from the White House usually on a cold, January day, everything returned to business as usual. The new puppet would proceed to execute the specific orders he received from his masters; orders that would directly benefit the military industrial complex, the medical industrial complex and any other agendas the Establishment desired at a given point in time. On January 20, 2017, the Illuminati puppet masters apparently will lose control of the American Presidency for the first time ever and they aren’t very happy about the situation. According to alternative thinkers in the know, the Establishment elite have used every tool at their disposal to discredit Donald Trump. They tried their best to destroy his credibility prior to the US election. Those strategies obviously failed. After the election the same power structure has repeatedly used many of its influential assets to try and stop the inevitable rise of, at least from their perspective, this most dangerous agent of change. The US intelligence agencies that purportedly control American mainstream media companies have been accused by the alternative media as being complicit in producing fake news about Trump, and fake news about Russian meddling in the US election. The same mainstream media companies have also imported and parroted those alleged fake stories about Trump and Russia into many entertainment products that American viewers are hopelessly addicted to watching on a regular basis. It seems as if a continuous form of brainwashing has been unleashed on the American public regarding Trump and the collusion he supposedly shared with Vladimir Putin and the Russian State. Even though many people now understand that the stories being reported about Trump and Russia via the mainstream media are unsubstantiated, some people still believe them to be truthful because they are relentlessly exposed to the same propaganda everywhere they turn. If the Illuminati is as desperate as some people are claiming, this could be the most dangerous week for Donald J. Trump and the American people yet. If in fact the outgoing administration of puppets are about to have the puppet strings cut from their sleeves and there are no replacement sleeves to be found in the Trump administration, some extremely serious things could unfold later this week. I am hoping that peace reigns and a smooth transition of power occurs this coming Friday. Are You Ready For Something Really Big In 2017? It’s really hard to believe 2016 is now behind us. A few of our readers have sent me emails this past week asking for my opinion about what might transpire during 2017. This post will attempt to address some of those email requests. At the end of each year I usually write a short piece that attempts to speculate on what I believe might happen with regards to the upcoming year. Keep in mind that I am not clairvoyant and I cannot perceive things outside the five sense world. Having written that let me also write there are plenty of clues in the public domain that can help me forecast what might happen in 2017. 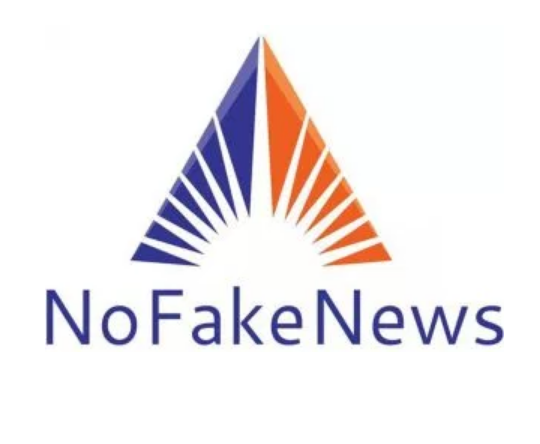 What I and other prognosticators are often able to do is make sense of the many clues that have been placed right in front of our eyes by the plethora of fake news companies commonly referred to as the mainstream media. To begin, I will write that the inauguration of Donald Trump as America’s 45th president on January 20, 2017 will get the ball rolling so to speak. It’s going to be a very interesting year because Donald Trump is to the Illuminati what a wrecking ball is to a skyscraper. This new American President is unlike any other that has served before him. In my opinion he’s not a puppet of the powers that be and he will attempt to do things during his presidency that will directly benefit the American people and America as a country. The Illuminati will not like this. Donald Trump is all about making America great again and he will attempt to introduce policies that will be consistent with that central theme. He will undoubtedly have to navigate through a minefield of Illuminati agents that are deeply embedded within the construct of US politics. There are also many powerful groups in existence that will attempt to marginalize Trump’s presidency during the next four years. One of the ways this marginalization process might be attempted is through a carefully manufactured financial crisis in the United States and eventually throughout the entire world. Most people would naturally blame the financial turmoil that might hypothetically materialize in 2017 on Mr. Trump. The plan, in my considered opinion, is quite predictable if you look at the many signs that are pretty damn apparent. We have an overvalued stock market currently in the US. It’s been inflated with so much hot air that it’s probably higher now than Apollo ever managed to get during the fake NASA lunar missions in the late 60’s and early 70’s. It’s important to keep in mind that stocks and their over inflated values have very little to do with the actual health of the US economy. The stock markets around the world are pretty much manipulated in one direction or another by a number of different stimuli. But the major stimuli with regards to the US markets since the great economic recession of 2008 has been the central bankers’ ability to regularly pump fiat monies into them and to keep interest rates almost at zero. If the central bankers remove said stimuli, we could see the mother of all stock market collapses in the US in 2017. As far as the economy turning bad in America, it’s already there my friends. Unemployment in the United States remains high despite official monthly reports that claim otherwise. It’s easy for the powers that be to manipulate statistics in order to make things appear different than they are. If you don’t believe me, just take a quick look back at the recent fake presidential polls that were fabricated and reported via the mainstream news companies prior to the 2016 US presidential election. Those polls were so blatantly misleading that they destroyed the credibility of the mainstream media. The powers that be had to blame Trump’s victory on meddling by the Russians in order to try and save face for the news networks that they obviously own and control. The Federal Reserve, a private corporation comprised of elite banking families, could possibly begin a process designed to regularly raise interest rates after Trump’s inauguration which would most likely send the stock markets around the world into a nosedive. The theoretical interest rate hikes would no doubt be reported in the media as necessary, but in reality would be part of a carefully calculated plan to destabilize and crash the US Dollar. The ultimate goal of course would be to undermine the credibility of the US Dollar and then destroy its world reserve status. The powers that be want a world currency and the timing of a Trump presidency would be near perfect for them to accomplish this goal. Everything could potentially be blamed on Trump and his new draconian policies. This scheme alone would assure the powers that be that Trump would be a one and done president. Donald Trump is a very smart businessman and most assuredly well aware of what I am writing about. If I can figure this much out, you can be sure he knows what lies ahead in the months to come. I think it’s also going to be interesting to see how Trump handles the Russian situation. The military industrial complex wants and needs Russia and America to be enemies. War is a very profitable business. A trump presidency could mean peace between America and Russia. Even worse for the Illuminati, it could mean the end of ISIS and other terror cells that have been artificially manufactured by the powers that be in an effort to advance other agendas that most people are not privy to and are never reported on by the mainstream media. If America and Russia ever get on the same page and decide to wipe out ISIS or other related terror cells in a joint effort, it wouldn’t take very long for that goal to come to fruition. There are a lot of interesting things to watch for in 2017 and hopefully we’ll be able to write about them on NoFakeNews. I’d like to take this opportunity to wish everybody a very Happy New Year! According to the Russian news website ZNAK, the president of the Russian Federation, Vladimir Putin has issued a command that all Russian officials must immediately fly home all members of their family who are currently living abroad. There are to be no exceptions to this mass return to Russian soil, even if those living in different countries are studying or are permanently settled in a foreign land. In recent months, there has been a hasty reclamation of the Cold War pastime of Kremlin watching among the western powers. It has been suggested that intelligence agencies of many different countries believe that President Putin is gearing up for a full-scale conflict with the countries he perceives to be his enemies, particularly the United States. This latest command to repatriate Russian citizens is the latest in a series of actions taken by the Russian President that seem to confirm that this theory is true. In the past year, it has become known that Putin has established a number of heavy duty bunkers in strategic points around Russia and that members of the elite and the Russian military are performing regular nuclear attack drills. In addition to this, Russian scientists and engineers have been observed working with the Russian military to improve their own vast nuclear arsenal. In the past month, Putin has also overseen a restructuring of the intelligence agencies within Russia, and it is believed that the former KGB agent has taken personal control and oversight of all military intelligence in the country. Diplomatic relations between Russia and the United States and the allied countries have reached an all-time low in the past few months. Representatives from the State Department and the Russian Foreign Ministry have exchanged damning criticisms and veiled threats over the conduct of the respective countries in Syria. President Putin himself has shown that he is not above the fray when it comes to making bellicose remarks about the allied powers and the deteriorating internal situation in Syria. He recently canceled a planned diplomatic trip to France over a fiery argument about this particular issue.